The relationship between creator and publicist is something that struck me as a little weird when it was first spelled out that there may be a real need for this dynamic – how will anyone know what you’re done if you don’t tell them or can’t communicate with them effectively? I was thinking about this again recently in the context of architects and the photographers that photograph the resulting buildings. A good architectural photographer is able to understand the buildings design and show it in a way that reinforces the design. 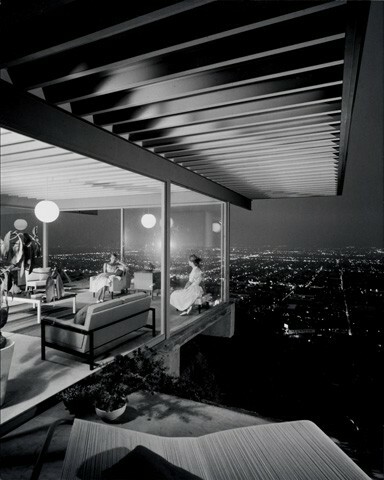 Perhaps the most famous of architecture photographers is Julius Shulman. While I didn’t know who Shulman was until recently I did recognize some of his photographs and particularly the one shown above, “Case Study House #22, Los Angeles, 1960. Pierre Koenig, Architect.” One of the distinct features of Shulman’s work was that he often included people in his photographs, something that was unusual at the time and still isn’t terribly commonplace. Check out the videos of Shulman discussing his work below. A full version of the documentary ‘Visual Acoustics‘ is available on NetFlix or you can buy a copy here. Duane Michals name cropped up in a couple of different places for me in the last month and because I pay attention to those kind of coincidences I decided to look him up. 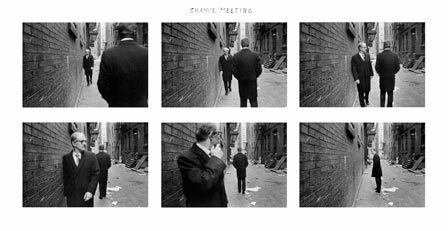 In researching Duane Michals I was surprised by his range from commerical to fine art and everything in between. I didn’t realize for instance that he was responsible for the photograph’s on The Police Album Synchronicity. The work of his that perhaps he’s most famous for are the still films, an example of which ‘Chance Meeting’ is above and incorporating text into his images. He also has a tremendous sense of humor, some of which comes through in the film below. Duane Michals, Photographer – Video Editing – Trailer : project of documentary directed by Camille Guichard / Terra Luna Films from Les Particules Videos on Vimeo. Occasionally I will find the same snippet of information pop up across a variety of different webpages, magazines, etc. that I turn to on a daily basis to find out what’s going on. That’s how it was with John Coffer. John was recently featured in the Atlantic Magazine. 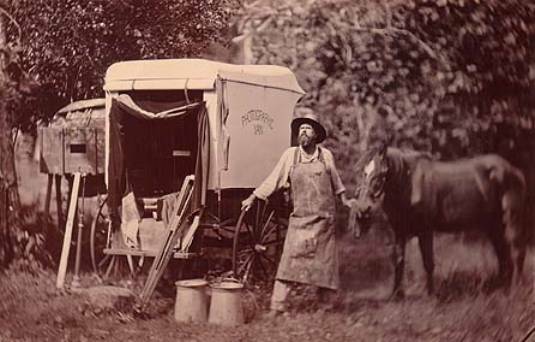 John lives off the grid on a 50 acre farm in upstate NY that he uses as his base for “Camp Tintype”, ‘the best known and longest running learning center for wet-plate collodion photography in the world’. In addition to the video below, there are more videos on John’s website that are well worth a look. While you’re at John’s website you should also check out some of his tintypes.